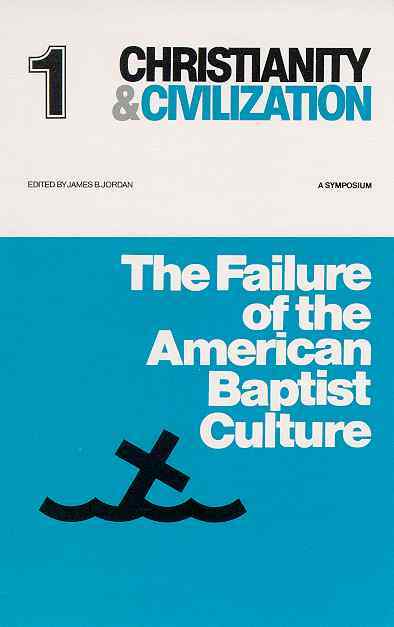 The Failure of American Baptist Culture” might seem a puzzling topic for a symposium of essays, but the contention of the editors…is that American culture or civilization has been, in the main, a Baptist modification of old catholic and Reformed culture. The New Christian Right, in its attempts to stem the tide of degeneracy in American life, is a Baptistic movement, and…finds itself in a condition of crisis, confusion, and indeed impotence. The thesis the editors are setting forth…is that American Christianity must return to a full-orbed Biblical and Reformed theology, and set aside Baptistic individualism, if it is to have anything to say to modern problems-indeed, if it is to survive.